If a person suffers an injury or death at the fault of another person or entity, that person is usually entitled to file a claim for damages against the party responsible for the injury or death. 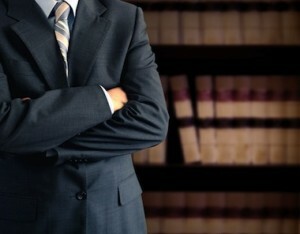 There are many types of injuries under the eyes of the law, and the laws can vary from state to state. Most of these injuries can be helped and filed by a California Injury Lawyer who has experience in Personal Injury and Workers Compensation Law Cases. Here are some of the most common injuries and the laws surrounding them. When an animal bites or attacks someone, the person held liable for the resulting injury is the owner of the animal under most circumstances. In some states, the owner of the animal must assume full liability for the animal’s inflicted injury whether or not the owner took any measures to protect other from such an attack. In other states, the owner is only liable for injuries caused by the animal if the owner was aware that the animal was dangerous and capable of causing injury. If you are the victim of animal bite, first seek medical attention, then contact a lawyer to determine if you have a legal claim for damages. Traffic accidents are one of the most common types accidents in the U.S. 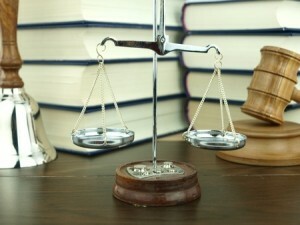 Determining which party is at fault in an accident depends on whether one driver was negligent. Negligence while operating a motor vehicle can refer to many different circumstances. Disregarding traffic signs, such as red lights or yield signs, speeding, failing to signal, driving aggressively or recklessly, and driving under the influence of drugs or alcohol all constitute negligence in a car accident. Construction lends itself to a high rate of accidents for workers. Determining who id liable for an injury at a construction site is not always a simple task. It is the duty of the general contractor for a site to make sure the area is free of hazards, or that the crew is properly warned of any potential hazards. According to OSHA regulations, the party held liable for on-site injuries is the party who was managing the site or activity when the worker suffered the injury. 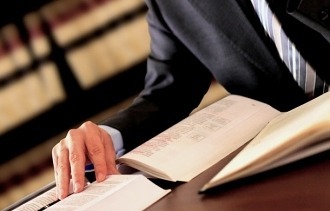 Medical malpractice is a complex facet of personal injury with laws differing for each state. Negligence in a medical malpractice case can be applied not only to doctors, but also any medical staff and pharmaceutical manufacturers in some instances. Medical malpractice occurs when injury or death occurs as a result of doctors not following accepted standard protocols or, when any hospital staff is not properly trained to prevent injury to patients. It can be very difficult to bring a successful medical malpractice case against a doctor or hospital, so if you suspect you are the victim of medical malpractice, it is important to contact a lawyer. Liability in motorcycle accidents differs slightly from car accidents. Depending on the particular state’s helmet law, a motorcyclist may be limited in what can be claimed in an accident even if another motorist was initially at fault. Not wearing a helmet can be considered an act of negligence on the motorcyclist’s part which could make obtaining legal damages difficult or impossible depending on the case. In some states where it is legal to ride without a helmet, this does not apply. There are many instances when a nursing home can be held liable for personal injury claims. Injuries suffered in nursing homes can be a result of abuse, neglect or exploitation by nursing home staff. Additionally, most nursing homes draw up a contract with the resident that details the services promised and the fees for those services. When these contracts are breached by not providing basic needs to the resident, then claims may be filed against the nursing home. In the case of slip and fall accidents, it must first be determined if the owner of the property in which the injury occurred could have prevented the conditions that led to the fall. It is the responsibility of the property owner to maintain safe conditions, however, the property owner cannot be held liable in every slip and fall case. For example, if someone trips over an item that can normally be found in that area, then the property owner cannot be held liable. In order to make a case against a property owner, the owner needs to have known about the danger and have been able to fix it to prevent injuries. There are laws in place to ensure that employees, who are injured on the job, can receive their due compensation without issuing fault to any party. Workers’ compensation benefits vary from state to state and from occupation to occupation, but it serves to make sure that any injury incurred on the work site or during work hours is always covered. Wrongful death claims encompass the death of any human being as a result of negligence of another party or the intent to cause harm by another person. The family of the victim in a wrongful death case may sue the party at fault for the death. Financial damages may be sought in a wrongful death case when support or inheritance is lost as a result of the death, or for expenses incurred as the result of the death.